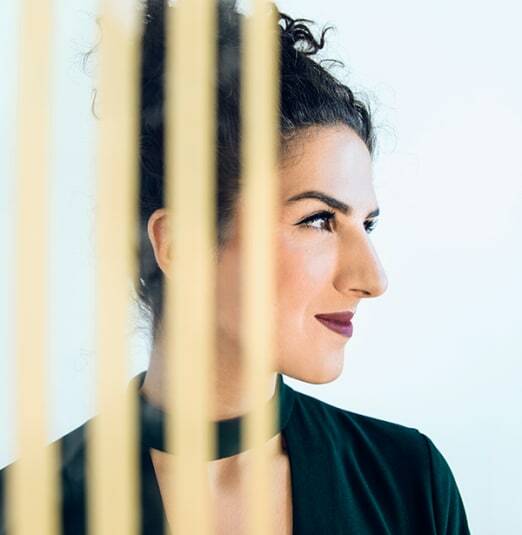 Award-winning Canadian singer-songwriter and pianist Laila Biali has toured with Chris Botti, Paula Cole and Suzanne Vega, and recorded with and supported Sting. Her accolades include “SOCAN Composer of the Year” and “Keyboardist of the Year” at Canada’s National Jazz Awards. She takes the best of pop, rock, classical, world and soul, informs it with her expertise in jazz, and weaves it into her musical arrangements and original songs. Laila has presented her music at prestigious venues spanning five continents including the North Sea Jazz Festival, Tokyo’s Cotton Club, Peru’s El Festival Internacional de Lima, and Carnegie Hall in New York City.